Paint sprayers, air chisels, impact wrenches and all the other power air tools you have in mind get their air from a compressor. You probably have one or several tools so you are looking for a compressor. Among the different types of air compressor is an enticing type- the pancake air compressor. Sorry, it has nothing to do with food. It derives the name from the shape of its tank. Why a pancake air compressor? It fits the toolbox very easily. It is lightweight and compact. Despite its tininess, this equipment has loads of power. We will give you concrete information about the various versions of this small machine. As you will note, differences revolve around power, size and performance. While all the products featured are exciting, we recommend that you go through the reviews and guide first. After sorting through the specs and trying out several pancake air compressors, we identified a few great models that we have reviewed next. No workshop or factory worth its salt can survive without an air compressor. This effective and efficient machine should be in your store already. You can accomplish so much with an air compressor-craft tasks, hobbies, car repairs etc. Furthermore, the best 6-gallon pancake air compressors work perfectly with a variety of tools including paint sprayers, hammers, air drills, sanders and so forth. This class of air compressors is applicable for many projects. These air compressors work well in light duty jobs or occasional applications. If you look around, you will found most homeowners that own a pancake air compressor have the 6-gallon one. We took some time to identify five of the best options in this category as discussed below. Six-gallon pancake-style tank for stability, includes water drain valve and rubber feet. The Porter-Cable C2002 Oil-Free UMC Pancake Compressor is easily the industry leader in the small compressors category today. That is not surprising considering the mark set by Porter-Cable, the giant American power tools manufacturer. There is no doubt that this compressor was built for easy portability and storage. If you are short of space, this is the pancake compressor for you. Its dimensions are 19 x 19 x 18 in and it weighs in at only 34 pounds. Remember that it also comes with a permanent handle, thus making transport light work. These characteristics make it the ideal machine for home, jobsite or workshop applications. Can a pancake air compressor be lightweight and compact, yet powerful for some of the harder tasks in the shop or home? In the Porter-Cable C2002, you will find a machine that proves doubters wrong the moment it is up and running. The 120-volt, low-amp motor has proven a great asset to the equipment, as it provides a combination of power and efficiency. Are you worried about the approaching winter? Porter-Cable has designed the motor to work excellently even in harsh weather. You will not have issues with starting the thing. When brushes are worn out, you can easily replace them, making this machine very reliable. This red-pancake air compressor is oil-free, so you do not have to deal with many maintenance issues-No oil spills, no frequent cleanings etc. To add to this user-friendliness, the Porter-Cable C2002 Oil-Free UMC Pancake Compressor has a 6-gallon pancake-shape reservoir. The compressor fills this tank in about 2 minutes, but that is not a big issue. Once you fill up the tank, the compressor will only restart when the pressure falls below a preset value. It can accommodate a maximum pressure of 150 PSI. We cannot forget to point out that the air compressor features an in-built thermal overload protection. To make recharge of its tank faster, the compressor runs at 3.7 SCFM at 40 PSI and 2.6 SCFM at 90 PSI. DEWALT is a serious competitor to Porter-Cable since time immemorial. When we come across one of their products, we know we have something of high quality at hand. 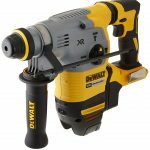 The DEWALT DWFP55126 did not contradict our expectations. For its decent motor, sturdy build and impressive performance, this pancake air compressor deserves to be on this list. Anyone looking for a highly efficient and low-maintenance pancake air compressor might want to consider the DEWALT DWFP55126. Its rated pressure stands at 165 PSI, which is comparable to the best pancake air compressors in the market, including the Porter-Cable C2002. The machine can also operate at 90 PSI, which means you can power almost any tool, albeit for small bursts. This item weighs in at 32.2 pounds, which is quite impressive considering the pressure it generates. What is better than combining this manageable weight with a suitable cord wrap? Storage and transport is easy as a result. Convenience of the best pancake air compressor is not only about portability. It also has to do with maintenance of the item. The DEWALT DWFP55126 is one of the most enjoyable pancake air compressors. As other pancake air compressors in this category, it features an oil-free pump. These types of pumps are not only low maintenance, but also suitable for uneven surfaces and low temperatures. If for just one thing, this compressor is worth considering for its permanently lubricated bearings. Buyers who regularly work alongside their friends or co-workers will love the pancake air compressor-it runs so quietly that your conversations are not affected. The 75.5 dBA noise level also creates a quiet working environment. A good pancake air compressor combines both convenience and performance. For us, the DEWALT DWFP55126 makes the cut very easily. It has a big 6-gallon tank, pressure of 165 PSI; it is low weight and low maintenance. Is there any other must-have feature in a pancake air compressor missing? We doubt it, but there are always skeptics. We suggest you check out this machine for its awesome. High flow regulator and couplers to maximize air tool performance. Another irresistible entrant to the list of best pancake air compressors is the Bostitch BTFP02012, a 150-PSI and low-maintenance product. This 31.4 pounds item is able to offer the user a lot of value when it comes to applications. Whether you are a hobbyist or professional, this machine will rise to the challenge you throw at it. As you peruse through different air compressor options, one thing you must remember is to scrutinize the manufacturer. BOSTITCH is not new to the power tools high table, as it has built its reputation as a top manufacturer for the last 121 years. There is no doubt anything from them is good value for money. The Bostitch BTFP02012 can attach to a huge variety of power tools, so you could use it for spray painting, cleaning and so on. Part of this capability is the reliable that comes out of this unit. 6-gallon is without doubt on the elite side, and you can notice that from the CFM and PSI. It offers 2.6 SCFM at 90PSI, while its maximum storage is 150PSI. Most power tools use less than this, so you know that all your tasks are covered. Most users like portability of a compressor and this unit offers exactly that. You are looking at a product that is only 17 x 17 x 19.2 inches. It is lightweight too as we saw earlier on. Your frequent trips to the jobsite have never been easier. Any averagely built person can carry this compressor without problems. It is obvious that BOSTITCH had user convenience in mind when designing this pancake air compressor. As the other 6-gallon compressors reviewed here, the BTFP02012 comes with an appropriately placed handle. However, that is not the only thing we noted about this powerful device. It comes with high flow regulator and couplers, which enhance tool performance. Does it make noise? No, this air compressor is one of quietest we have in this list. It has an operational noise of only 80dBA, which makes for a quiet environment. The safe-look of a tiny compressor such as this one might be deceptive. You have to remember that this a very powerful item so you need to observe caution when using it. That is not to say the manufacturer did not install safety features. The Bostitch BTFP02012 features a safety valve for releasing built-up pressure. It also has a strategically placed ON/OFF switch. You will also note that it has kept the normally hot components- cylinder head, tube and the rest -out of direct contact to protect the user from potential burns. If you do not love this pancake air compressor already, it probably does not have to do with power, portability, safety or ease of use. Whether you are a professional or DIY, grab this exciting air compressor because there is a lot to like about it. Have you ever started shopping for an air compressor only to realize that you do not know exactly where you will use it? We have met buyers who wanted to do almost anything with their air compressors, but somehow the equipment they have comes short. What if I told you there is a pancake air compressor that solves all such woes-An all-round device provides a mix of flexibility and power? The moment you see and touch this 6-Gallon Quiet Portable Air Compressor, you will not search further for a versatile tool. This portable air compressor suits most job environments, especially ones where noise is an issue. Rated at just 68 dBa, the DC060500 is one of the quietest pancake air compressors around. You might still want to wear earmuffs, but that is common for all air compressors. To go with the trend nowadays, this pancake air compressor is tidy and tiny. Not to be forgotten is that it is still made from tough material like conventional ones. Since 1836, Campbell Hausfeld has built quality items and this does not divert from that a bit. They are very confident about its construction since they offer a warranty, which can be requested from customer care. At 90 PSI, the Campbell Hausfeld DC060500 promises good performance. 2.4 CFM rate is just around what we have reviewed so far for the other products so expect this equipment to do a clean job in household jobs. What really makes the performance impressive is the large tank, which is guarantee of constant pressure. They categorize this as a portable air compressor. However, even with a relatively miniature appearance, the equipment weighs in at 62 pounds. This might not be the heaviest of the best pancake air compressors, but this weight could present transportation challenges to some users. If you are workshop or garage person, you might want to buy the compressor that runs for hours and accommodates tools for inflation, finish nailing, hobby painting and so forth. We recommend you look at this product too. For those who are not familiar with this brand, it comes from another reputed manufacturer, Powell Works Inc. This Ohio-based company founded in 1998 has been growing steadily producing some of the best pancake air compressors in the market. The PowRyte Basic 3 Gallon Oil-Free Hotdog Portable Air Compressor – 100 PSI (Hotdog Compressor) is causing excitement among buyers, especially car owners. This equipment is a change from the four previous reviewed ones. It has the shape of a hotdog. These types of air compressors usually have tank sizes ranging from one to three gallons. You need the 103331 if your tasks require more than bursts of air. One advantage offered by this equipment is that it is maintenance free. This means that the motor is self-lubricating. The enclosed motor (enhanced safety) is precision built and uses 120 volts power supply. This is the supply in most homes, so the device suits your household tasks. A compressor with a capacity of 100PSI is to be used with utmost caution. Luckily, the design has some features that make using the equipment almost risk-free. First, it features a safety valve, which could save you in case of emergency. Second, the compressor comes with thermal overload protection. The approximate cutout pressure on this equipment is 100PSIG. This means that when you begin to use the air compressor, pressure within the tank will build up to maximum capacity and then the motor switches off automatically. This protects the tank from pressure that is beyond its capacity. The product also comes with a fully adjustable locking regulator for output pressure retention. Like most hotdog air compressors, the PowRyte Basic 3 Gallon Oil-Free Hotdog Portable Air Compressor – 100 PSI sports a sturdy built-in handle that has a rubber grip. One final feature buyers fail to notice is the feet. This compressor, like any other, does vibrate when working. The rubber feet do an impressive job of absorbing these vibrations and containing the noise. Please remember to wear your ear protection because under the noisy conditions and long runs, ears could be affected. Overall, this is a recommendable hotdog portable air compressor for its ease of use, ability to run for extended periods and safety. If you are a car owner, this is could be the portable air compressor you have been looking for. Sifting through the best small pancake air compressors can be hectic, but you will be thankful once you land the ideal model. Most complaints about air compressors revolve around noise and vibration. For a smaller model, these concerns predictably subside. Please note that these compressors are still noisy, but they are within the bearable levels. Majority of the products reviewed in this category will handle most applications easily. However, if yours are advanced or large-scale projects, you need additional power or pressure. Now, here are our choices of the best small pancake air compressors in the market. A Porter-Cable product makes it to the top of the list again, offering portability, resilience and ease of maintenance. As we often say, you can never doubt anything with this manufacturer’s fingerprints. A common challenge with many air compressors is that they are difficult to move around because of bulkiness and weight. If you are using this equipment for small tasks, you will find it very convenient. It is just 26 lbs. heavy. Thanks to its compact design to add, this machine is one of the most applicable for tasks that need lots of transportation. The PSI and CFM rates suit many applications including general inflation, small roofing, small framing and finish nailing jobs. You can also rely on the longer run time and power. The low Amp 120V motor works perfectly even in cold weather. It comes with an inbuilt quick coupler that ensures swift access to regulated air. Moreover, the air compressor has minimal power requirements. As an electric powered device, it is better than any gas powered unit you come across as far as household applications are concerned. With the motor running at 120V, the equipment works just fine even when used with extension cord. Regarding maintenance, the PORTER-CABLE PCFP02003 3.5-Gallon 135 PSI Pancake Compressor gives the user peace of mind. The pump being oil-free, requirements to do with oil management are inexistent. A sturdy construction ensures that you use the equipment for years. This applies even for the motor, which carries low current and 120 volts. One feature that must be exciting many users is the 82-dBA noise level. It is one of the quietest small pancake air compressors available. You will search extensively before you can find a compressor as friendly to the ear as this one. You can do a lot with this product- paint spraying, tire inflation, construction projects and so on. If you own a bike or scooter, you might want to give this product a second look. As a vehicle or bike owner, you need a compressor that comes in handy at the time of greatest need. This air compressor from Campbell Hausfeld may be little known but it has all the credentials to feature in this prestigious list. Have you been looking for an air compressor that is user friendly, maintenance free and reliable? If yes, you need to sample this exciting product. In case your priority is a lightweight air compressor, this is your product. Weighing in at 20 pounds, this device is perfect for lightweight applications, such as inflating tires. Many users have lauded the item’s mobility. You can never wish away a product that is compact in design. This feature makes an air compressor capable of working anywhere the user wishes. This air compressor delivers 110 Max PSI, which is adjustable. Please note the limitations of power tools you can hook to this compressor. At only 0.36 CFM @ 90 PSI, this product may not be adequate in inflating larger components. Continuous use tools such as sandblasters require a massive amount of pressure (at least 4CFM), so this air compressor does not support such. Some users have reported successful use of the compressor with staplers and nail guns though. The fact is that this device will handle a variety of projects around the home or workshop. Regarding ease of use, this air compressor is very attractive. First, it comes with an accessory kit that includes blowgun, air chuck, and 25 ft. recoil hose and so on. With this, you can start your projects right away. Even if you are starter, you will be at home with the 3 Gallon FP209499AV Portable Air Compressor. Apart from the small weight, the product comes with an ergonomic handle for easy transportation. Moreover, the compressor features straightforward gauges for easy pressure control. From the design and size of tank, it is obvious that the manufacturer intended this device for intermittent applications. The 3-gallon tank, pressure switch, dual gauges and pressure gauge ensure that these applications continue smoothly. A section of users has complained about the high noise level developed by the machine. Although most users will not consider this a large problem, it is important to wear ear protection when using the compressor. In addition, some complaints have been about the compressor taking up to ten minutes to fill up pressure to maximum. Again, this may not be a problem to everyone, but if you are looking for a quicker performance, the equipment may disappoint. If you find the coiled hose too stiff, like some users have reported, you can replace it with quality one from the stores. Do not just dismiss this wonderful machine for the minimal flaws. As long as you use this air compressor as intended, the results should be satisfactory. Some reviewers may be disappointed, simply because they overloaded the tool in the first place. We highly recommend this product. Also on the list of best pancake air compressors is this awesome product from PowRyte. Its 4-gallon reservoir can accommodate 135-PSI max. With its maintenance-free and oil-free pump, this compressor is all you could ask for in years of disturbance free performance. For convenience purpose, the equipment is only 22.1 pounds heavy and 14 x 14 x 15.8 inches in dimensions. It even comes with an integrated carry handle and a well-considered center of gravity. With minimal effort needed to carry this equipment, users should be comfortable using it wherever and whenever they wish. This is may not be the lightest PowRyte portable air compressor, but if portability is your priority, make sure you check out some of the other features to see if they impress you. For example, the general design of the PowRyte 4 Gallon Oil-Free Pancake Portable Air Compressor looks better than many other products in this class as it is meant for protection. We also like the type and amount of accessories incorporated in the device including universal quick couplers. While the equipment may be confused for other general inflation compressors, this unit is good for small/medium range jobs too. You can pair it with brad nailer, air brusher and selected SCFM air tools. What makes this compressor unique is that it can generate up to 135-PSI and has SCFM 90 PSI. These parameters are crucial because they allow the compressor to drive more nails and have quick recovery respectively. Like any other pancake air compressor, this equipment has some limitations with project scope. The air pressure may not be adequate for some jobs. As long as you take care of these, you will not have any issues with the compressor. PowRyte is a comparatively less popular manufacturer, but they have managed to give us a nice model that is competing with the big ones. Something good is happening at PowRyte if the entry of this second product from the manufacturer is anything to go by. If you were yet to acquire a portable air compressor for your tire inflation needs, this product would be a perfect first pick. A compressor with a maximum PSI of 100, this PowRyte Basic 3 Gallon Oil-Free Pancake Portable Air Compressor promises smooth and reliable performance. It comes with an oil-free pump design, which translates into a maintenance free compressor. Even more exciting is that it has a 3-gallon tank. For extended life, this portable air compressor features a fully packed shroud, which demonstrates PowRyte’s commitment to innovation over the years. We cannot blame you for wanting to own a good portable air compressor and tire inflator kit. Tires play an important role in car safety. Sometimes we are forced to pull over in the middle of nowhere and inflate the tires to the correct pressure. This set will do a perfect job. At 19.7 pounds weight, this super light air compressor fits the portability description very well. With its ergonomic carry handle, can you imagine how convenient it is on the road? Add that to the nicely designed vertical pancake tank and you realize why every motorist would want to own this set. 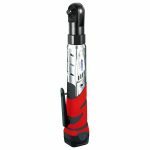 Moreover, it also features dual chuck tire inflator with recoil hose, which completes the requirements for inflating tires. Some users may be disappointed that the equipment is at 100 PSI maximum and 0.6 SCFM. With this rating, you will need some patience when working with the framing nailer. If your projects are small and you can afford to nail at a snail’s pace, grab this quiet, portable and affordable air compressor. We highly recommend it for small jobs because it has all the necessary features, yet it does not cost much. Are you still wondering which of the above machines to take? You are at the right place. There are different air compressor models, some of which may have several capacity options. It is understandable that some buyers may find things a bit complicated. Let us first note that air compressors can be either stationary or portable. Stationary air compressors are large and extremely powerful. They are very common in garages and other large facilities. Their vertical design means that they must be placed large spaces. Pancake air compressors belong to the second form of compressors namely portable air compressors. Unlike the first form, this compressor is easy to carry and handle thanks to its simple design. Other portable air compressor types include hot dog compressor and twin-stack compressor. Pancake air compressors are popular for nail guns, airbrushes and other light applications. Of course, there are inflators, which are tiny air compressors. These come without a storage tank, so they have to run continuously as they supply air. They are usually used for inflating sports gears, small floats and other small applications. During the reviews, we ran into terms such as PSI, CFM and gallons. They are crucial when choosing the best pancake air compressor. PSI stands for Pounds per Square Inch. It is a measurement for force and air pressure produced by a compressor. A larger PSI means that the compressor in question can compress a larger volume of air in the tank. If you are looking for a compressor for a nail gun, this parameter should not be much of a concern. Most brands have sufficient rating for tasks and tools. For nail guns, the rating is very important so you need to be keen about that. Now, an even more important parameter is CFM, which refers to Cubic Feet per Minute. CFM defines how fast the equipment delivers compressed air. A poor consideration of this number in relation to the tool air usage can lead to inconvenience. If the compressor supplies air slower than the tool can use it, you will be required to stop working as the compressor catches up. When choosing the best pancake air compressor, make sure you determine the CFM requirements of your tools. You could be intending to use one tool at a time or multiple tools. For the first case, base your selection on the tool with the highest CFM requirement. For multiple tools, add all the CFMs and use the result. The rule of the thumb is to use a safety factor of 1.5. That means that if your tool requires 0.5 CFM at 100 PSI, use a compressor capable of delivering 0.75 CFM at 100 PSI. The number of tank sizes available can be confusing. For an intermittent tool, you just need a small tank. Tanks size can range from 1 gallon to 20 gallons. For tanks, bigger is always better because the only requirement is for the tools to demand less CFM than the compressor can generate. If the tools you are planning to use need continuous air supply, you might want to acquire a larger tank. Pancake air compressor may be small, but its performance is impeccable. Most of the pancake air compressors we have reviewed are within the 30 pounds limit. This does not necessary mean that they are lightweight; they are just lighter for mobility. Pancake air compressors can power almost any tool. The compressors have high SCFM and PSI levels that generally accommodate tools that would work with other compressor types. All air compressors, whether portable or stationary, follow the same basic operating principle: air pressure increases and volume decreases upon compression. The main component behind this transformation is the piston, which is located within the compressor. Other compressor versions may have an impellor instead. Other components in the compressor are cylinders, valve heads, connecting rods and crankshafts. A compressor also contains a tank for air storage. If you check the top of the compressor, you will note a valve head that carries the inlet and discharge valves. To drive the crankshaft, the compressor needs a source of power. A gas engine or electric motor is used. From the crankshaft movement, the piston moves up and down. As it does so, it creates a vacuum above it, which is then filled by atmospheric air. During the opposite movement of the piston, the inlet valve is closed and the discharge valve opened. The air above the piston is compressed. This allows movement of air to the storage tank. Each stroke leads to more air entering the tank and increase in pressure. Depending on the tools to be used with the compressor, the equipment can be either 2- or 1-cylinder type. Usually, the only difference between these categories is in the number of strokes per revolution. The 2-cylinder compressor runs two strokes per revolution. Articulated piston compressors (those that operate like the conventional vehicle engine) use lubricating oil. They come with an oil bath for lubricating cylinder walls and the bearings. While rings on the piston prevent oil from mixing with the air, this is not always effective. Some lubricating oil will still find its way to the compressed air. Oil is not necessarily an issue, as most air tools need lubrication and cooling. The downside is the need for a lot of maintenance. Moreover, some tools will only run on oil-free air. Fortunately, there is an alternative model that comprises of one connecting rod. With these guidelines, you should now have the courage to pick a pancake air compressor from our refined list. Are you ready to pick the best portable air compressor for your projects? We have sifted through some of the leading pancake air compressors for garage and home-based applications. We believe you are now ready to invest in the most suitable equipment. Even if you have an air compressor, your collection is not complete without a nice pancake air compressor. These small machines are designed to be portable and to sit low. They are so convenient and effective that you can use them in both the workshop and home. Would you still need that big compressor with the latest bells and whistles for a small job? Many people are going for pancake air compressors for simplicity with results. When you consider ease of use, the best pancake air compressors are irresistible. First time users consider the inclusion of accessories very helpful too. No machine is devoid of shortcomings though. In spite of that, we are sure you can live with the little cons associated with pancake air compressors. We leave the decision to you because we believe we have made it a bit easier. Finally, please remember to observe caution as air compressors, however small, can be extremely dangerous. Make maximum use of the user manuals.